Working economy where content creators can be paid for their work but as JeanClaude Volmar warned us, "Just don’t make the economy so tightly coupled to the creator to render objects useless like it is in SL." 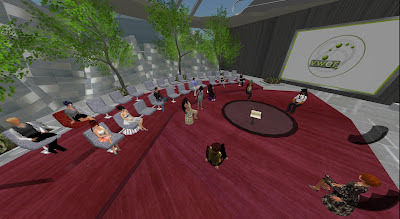 It seems we do "want it all," and many VWER members want a virtual world as a primary tool for teaching. As readers know, I tend to agree with VWER participant Alan Sandalwood, who noted "I worry that we would try to do everything in VW; It’s a tool to be used judiciously." My own students say a version of this: "what's the point? Our parents pay high tuition to be taught by a PhD in a classroom." For them, VWs are worthwhile for limited simulations or a field trip to see content otherwise unavailable. Other educators will use the technology differently and, in many cases, in transformative ways. To read the Aug. 2 transcript, click here. I recall how John Lester showed me a WONDERFUL item for sale at Turbosquid. I was about to buy it for the Usher simulation--it being far beyond my skill level--when I saw it priced at $39US. For the stray high-profile item, fancy mesh will be fine. But at that rate, furnishing a single room would have cost me hundreds of bucks. So I went back to building with prims and free uploads. That's the budget for most educators--cheap and free. And unless we have students with advanced skills in 3D modeling, cheap and free is where we'll stay. I can see LL looking at our wish lists, saying "That's a lot of work. Let's ignore them and maybe they will go away." Oh, wait, that's already policy. Poor mesh! The problems of prims are the excesive number of polygons, then the graphic card creates lag where you can optimize with meshes. The mesh real problem is design a detailed structure full of profiles and forms, never forget the power of a good texture. I'm still learning how to create a enough mesh for a great texture and vice-versa. Finally, you don't need be a great creator, a lot of free sites are ready for provide mesh! 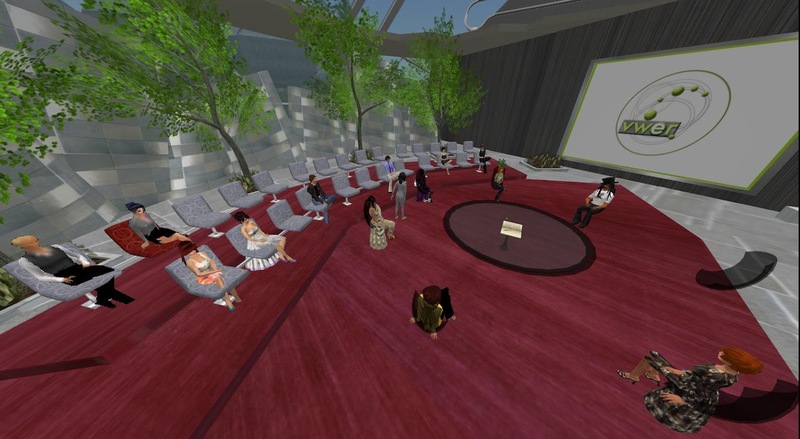 As Second Life is expanding to the gaming world of Steam, you will see Gamification + Metaverse Virtual Worlds merging into an all-in-one "Cinema Class" platform. Cartoon worlds face a heavy threat now. It seems to me that SL/Opensim users will be attracted to Steam (as management platform) and Garry's Mod (as metaverse-capable gamification platform), and not vice-versa, as long as SL/Opensim do not enable cinema class gamification & mobile & TV features. Garry's Mod one-time pricing €9.99 is half as much as Minecraft. Steam is what SL & Opensim need to finally professionalize their Market Delivery (e.g. 25 languages etc.) & Procurement Capabilities (e.g. consumer protection, defeat of consumer detriment etc.). Will Kitely and other OS utility providers take this step as well? - Steam is a digital distribution, digital rights management, multiplayer and communications platform. It is used to distribute games and related media online, from small independent developers to larger software houses. Valve has also announced plans to expand the service to include non-gaming software in the near future. Steam provides the user with install and automatic management of software across multiple computers, community features such as friends lists and groups, cloud saving, and in-game voice, and chat functionality. - GMod has Gamification & Metaverse Virtual World capabilities and meets Educational & Training Requirements. You get it on Steam for one-time €9.99!